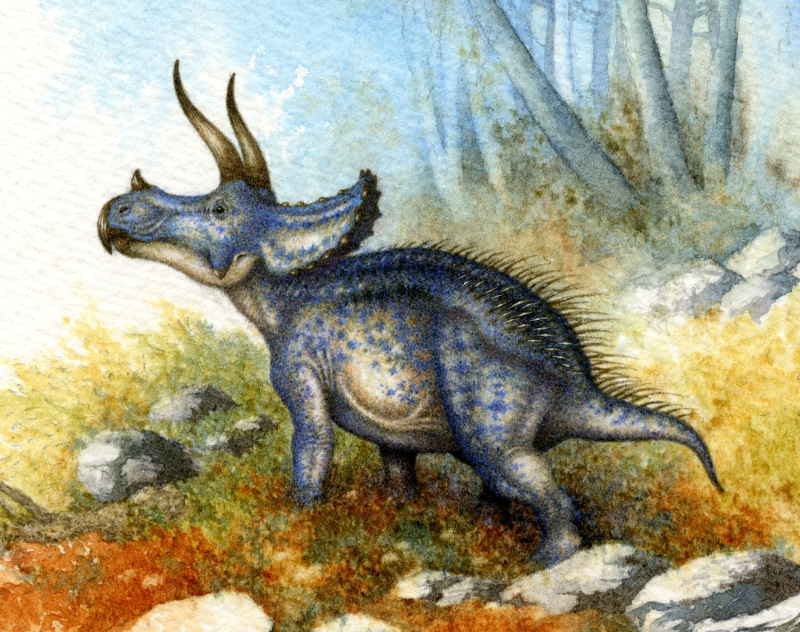 This tiny painting (roughly postcard size) is a much belated birthday Triceratops for my friend, Christopher DiPiazza of Jersey Boys Hunt Dinosaurs. I do apologise for there being rather many illustrations of the three-horned one of late. It just happens to be a favourite of several friends. Watercolour on Bockingford cold pressed, 147 x 103mm. The full view here is larger than the original. 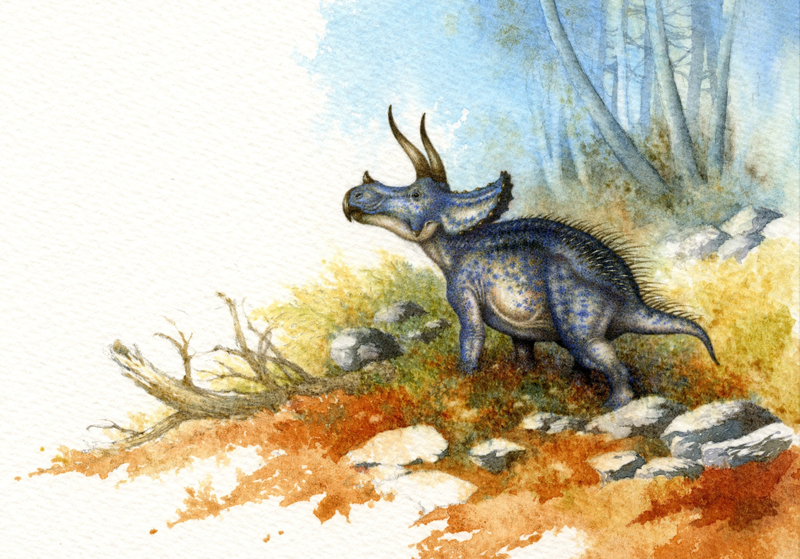 Detail of the Triceratops, which in the original is approximately 70mm long in a straight horizontal line. Thank you friend! Awesome painting as always. He’s wonderful. Your details are always breathtaking.